If you’re like me, it’s just not Christmas without a few handmade gifts. I love each one of these ideas — and the great thing about them is that they are DIY and really fabulous gifts. They don’t feel kitchsy or overdone. I bet you haven’t even seen a few of them, and I hope you’ll find at least one idea to add to your Handmade Gift List this year! Amy created this Memory Box from an old cassette case. 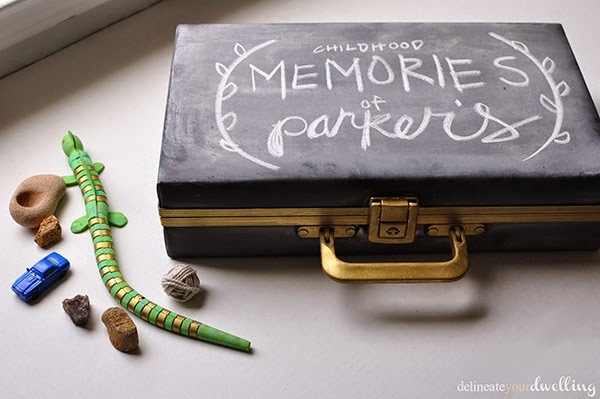 I can imagine a little boy or girl would love collecting their favorite items and storing them in a special box. 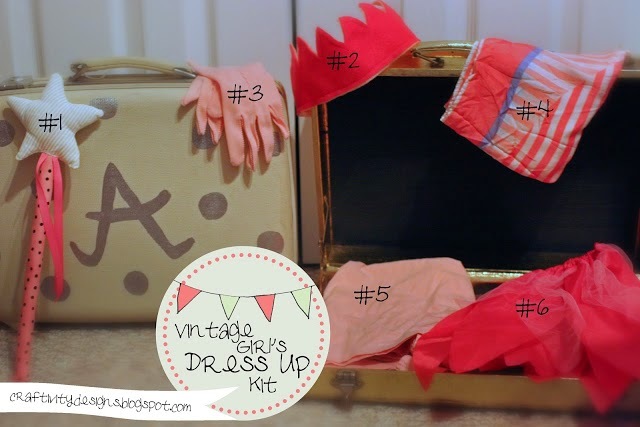 Several years ago I created this Dress Up Kit for a couple little girls in our family. It was so fun shopping for the vintage items knowing they were receiving a gift that would encourage pretend play for years to come. 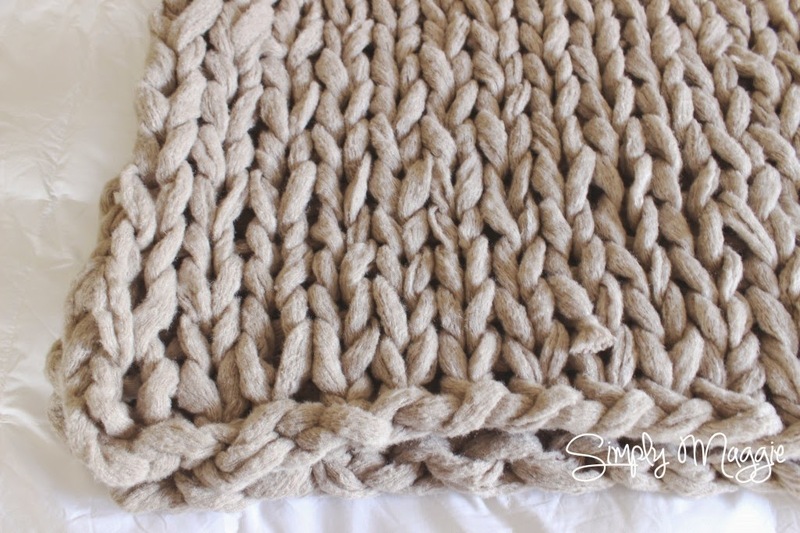 Just about anyone would want to stay home and curl up with this Knitted Blanket. It takes less than an hour to make and you don’t need any special tools. Maggie even has a detailed video tutorial to walk you through it step-by-step. 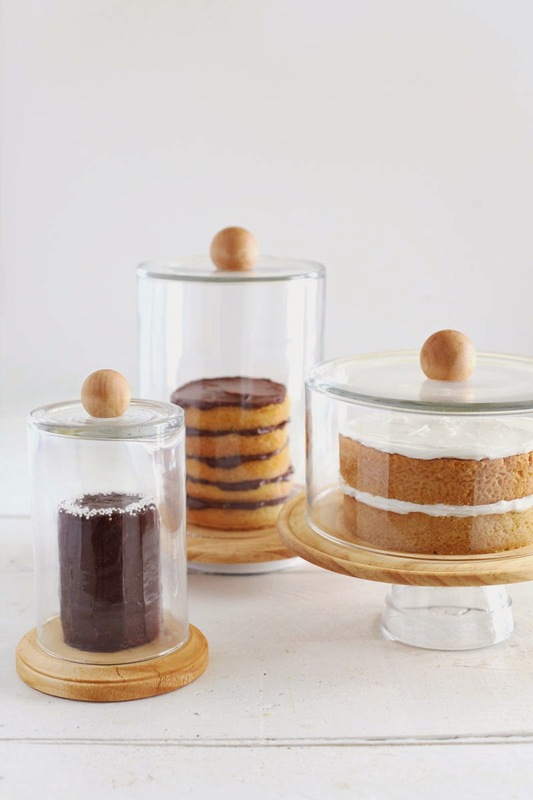 Your favorite pastry chef can fill these DIY Cake Domes with their favorite homemade treats. Mandi shares the tutorial and you’ll be pleased to see how simple they are to create. A savvy chef uses Pinterest and the online world to find recipes, along with their favorite cookbooks. However, reading a recipe from a phone or tablet isn’t always so simple. 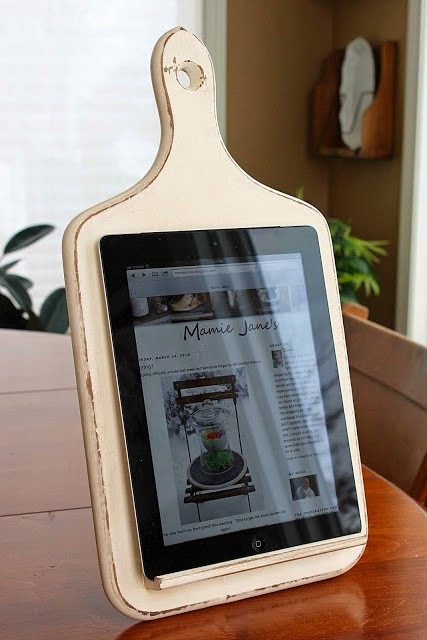 Jane made this Cutting Board Tablet Stand just for that purpose. I just shared this project recently, but I think it’s such a fun gift for a pet owner. 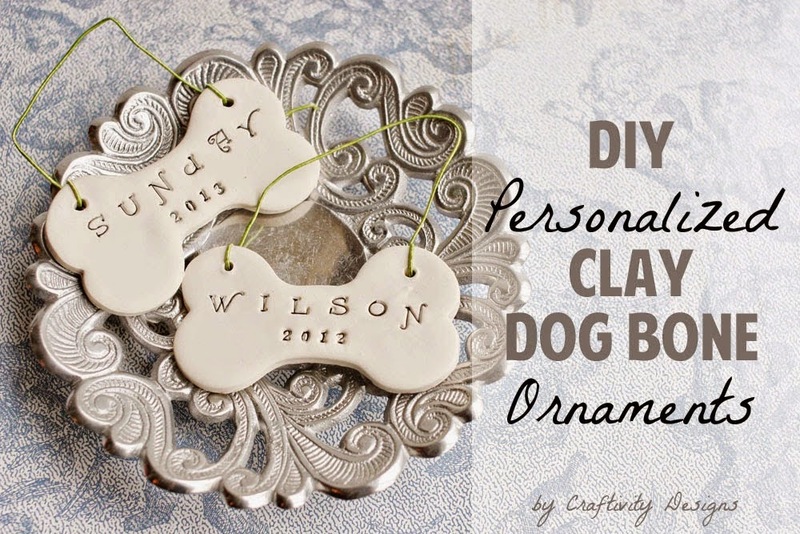 Even if the ornament is not for a dog owner — or you don’t have a bone shaped cookie cutter — the same tutorial could be followed with a simple circle or square-shaped ornament. 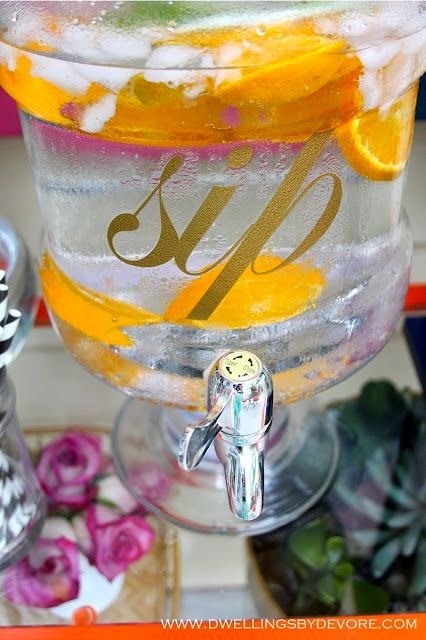 Use vinyl letters, like Bethany did, to turn a basic Drink Dispenser into something special. The gold is classy but you could also match the vinyl to the recipient’s kitchen or dining room decor. Often you need something small and simple — for a coworker, your child’s teacher, neighbor, etc. 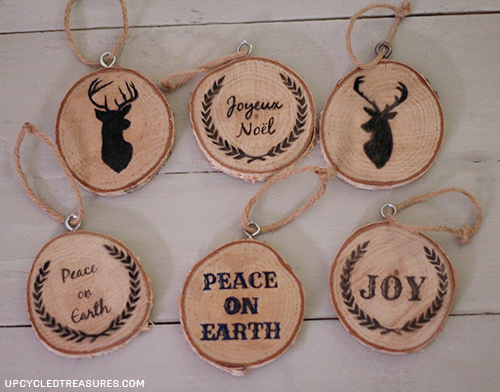 These Wood Slice Ornaments are thoughtful; but would be a quick and easy DIY project. I hope you are feeling inspired– and maybe found a gift to give, too. Get more gift ideas by clicking here!